ePublishing Knowledge BaseePublishing Knowledge BaseePublishing Knowledge Base Creating and Sending eNewslettersHow do I make my newsletters have different header images? Before beginning, please check with your project manager to ensure that this option is available on your platform. To begin, you will need to know the name of the file the system is set to recognize. 1. Locate the correct file name for the header. 1.1. 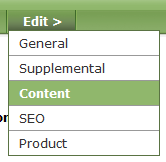 In the admin tool, go to Editorial > Newsletter > List & Edit. Select a newsletter to edit. 1.2. In the General editor, select Edit > Rendering Options. 1.3. Identify the header. This could be include the word header, or may be called a banner image. Copy the name under Value. The Value column shows the name that header image should be saved as. *CAUTION: Do not alter the content in any of the fields. Doing so can cause an error on your website. 2. 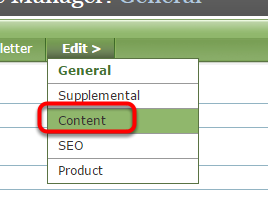 Upload a header image with the SAME name into the "/newsletter-banners/" folder in the Media Manager. 3. To view your change, open a new issue of your newsletter and go to Edit > Content. 3.1. 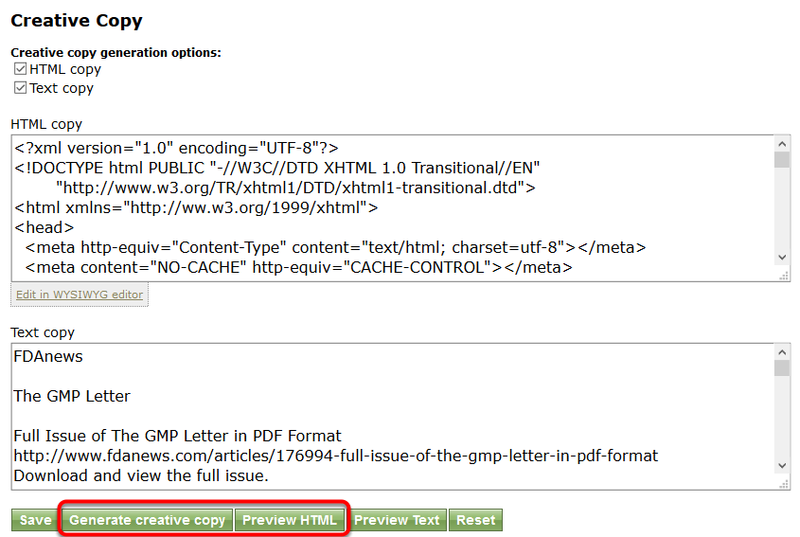 Click Generate creative copy, and then Preview HTML. 4. Preview your newsletter to confirm the different header is in place. 4.2. 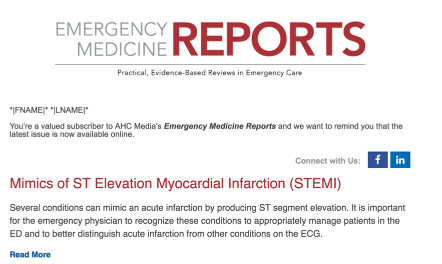 New newsletter with the same template, but a different header image. 5. Send a test of your newsletter to confirm your change. 5.1. Under Edit, select Content. 5.2. Scroll to the Publish section. 5.3. 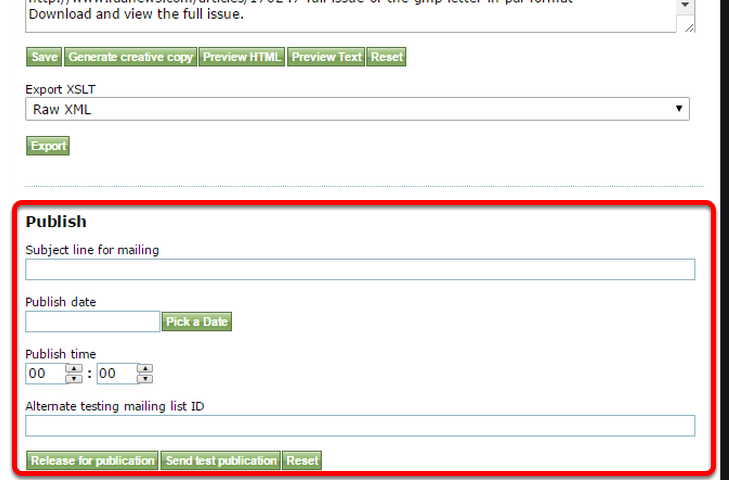 Add a subject line and set the Publish date and time for your test. 5.4. 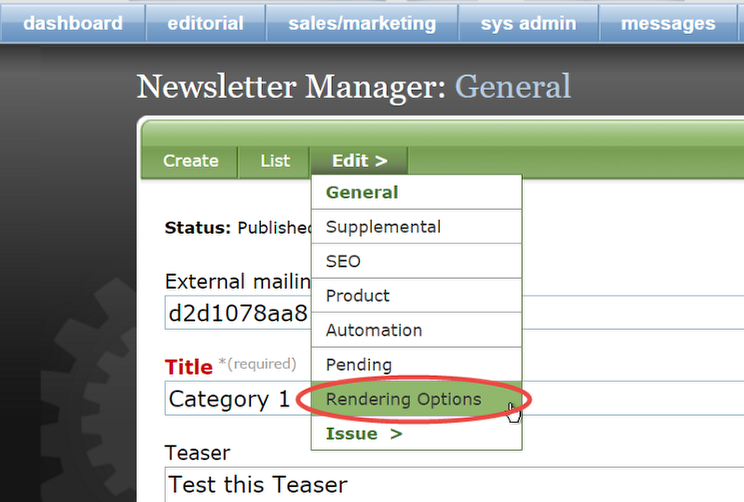 To test, add your Alternate testing mailing list ID in the box, and click Send test publication. Do NOT click Release for publication until you are ready to send to your entire list. 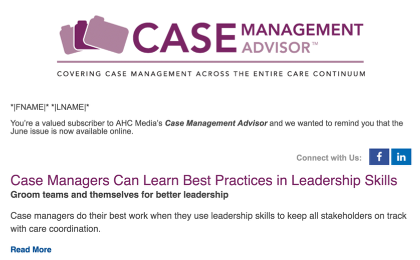 Prev: How can I send a newsletter by copying and pasting to my Email Service Provider?